Do you remember the excitement & anticipation of receiving your school yearbook each year? How much fun it was to gather autographs & re-live all the memories you made throughout the year? 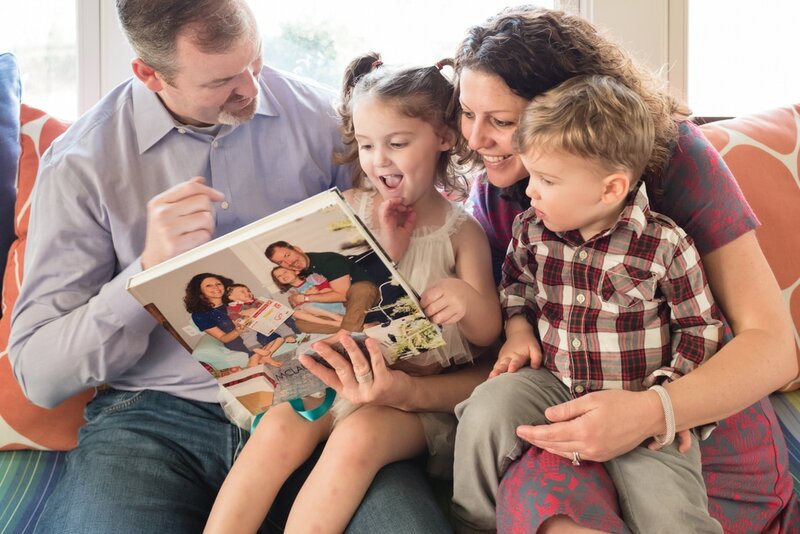 Picture This Photo Solutions, LLC, is thrilled to bring back the fun and excitement of receiving your school yearbook, only this time we'll be using your own family photos, carefully curated throughout the year and delivered to you shortly into the New Year. I loved working with Megan and Picture This Photo Solutions on our 2016 Family Yearbook! My goal was to have our photos put together in a way that we could enjoy them for years to come, but that didn't involve me spending hours uploading and arranging a photo book. Megan's service was the perfect answer! 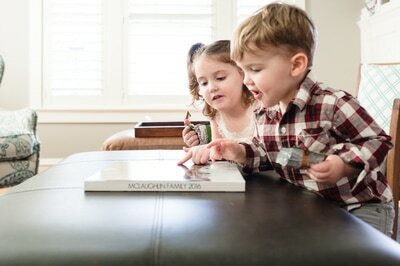 The final product was a beautiful coffee table book that my kids love to sit and browse through. I love that it evokes fun memories of vacations, snow storms and time with friends and they pause to remember those experiences and tell stories as if it was yesterday. This way of experiencing memories is so valuable and one I felt was missing when our photos were locked away on our phones and computers. So many people I talk to tell me how they started a photo book, but never finished it. How time-consuming it is. We can save your valuable time by doing the creative work for you! With minimal effort on your part, you will receive a stunning coffee-table photo book capturing all your year's events, both large and small. 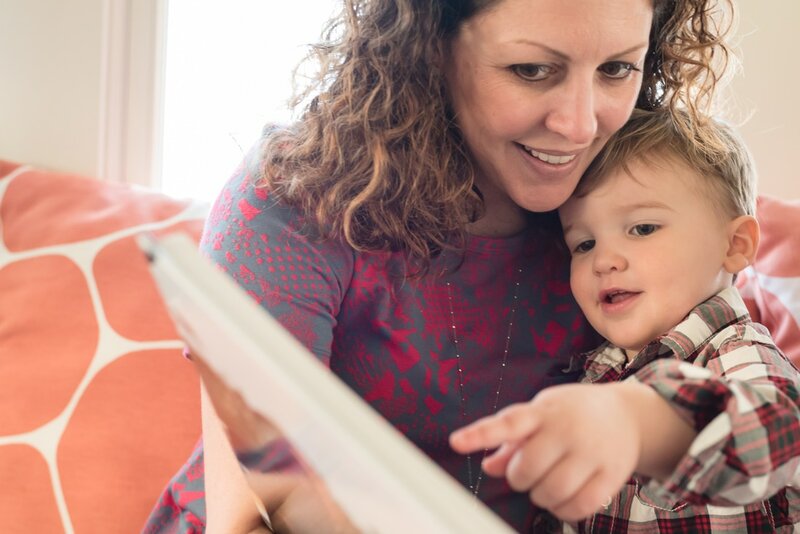 Quality time to connect with family, remembering all the fun memories made last year, giving a slower pace with which to tell the stories captured in your photos instead of having them pop up on screen for three seconds each. Photos flashing by on a screen can't compare to having a concrete book in your hands to share. Telling stories, reliving family vacations, remembering a silly outfit, these will all have a place and time when your "Year In Hand" family yearbook is in your hands. ​e-mail reminders. User-friendly album proofing and editing. 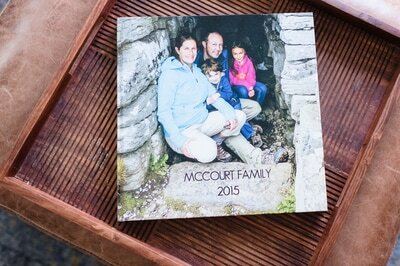 High-quality photo book printed on state of the art printers. These are just some of the ways Picture This Photo Solutions will provide White Glove Service to you throughout the year. 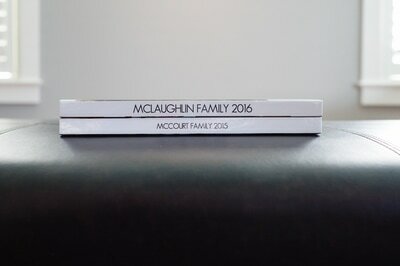 "Year In Hand" Family Yearbooks make the perfect gift. You can choose to work directly with me to create a yearbook to give away OR you can gift the service to a loved one so they can experience the creation of a unique and treasured family album. These yearbooks are designed to last and can be handed down through the generations.